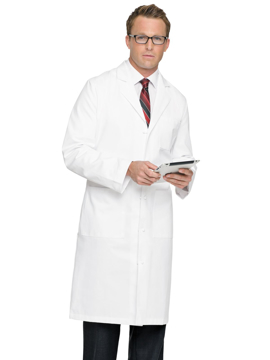 A full-length men's lab coat with five cloth-knot buttons, side hand access, three patch pockets, and a sewn down back belt over pleats. Center back length: 44½". Tall center back length: 46½". 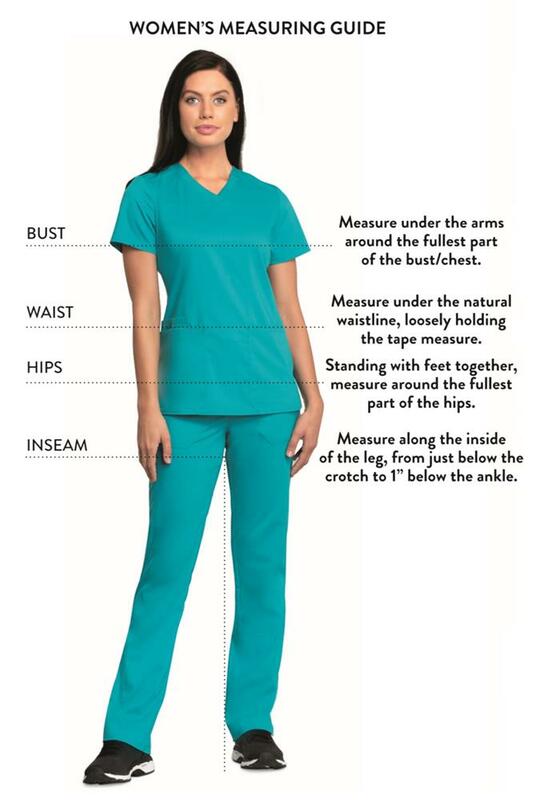 This lab coat features two lower outside pockets, one chest pocket, one inside pocket, four-button closure, back princess seams, loose back belt with button detail, and kick pleat. Center back length: 37".